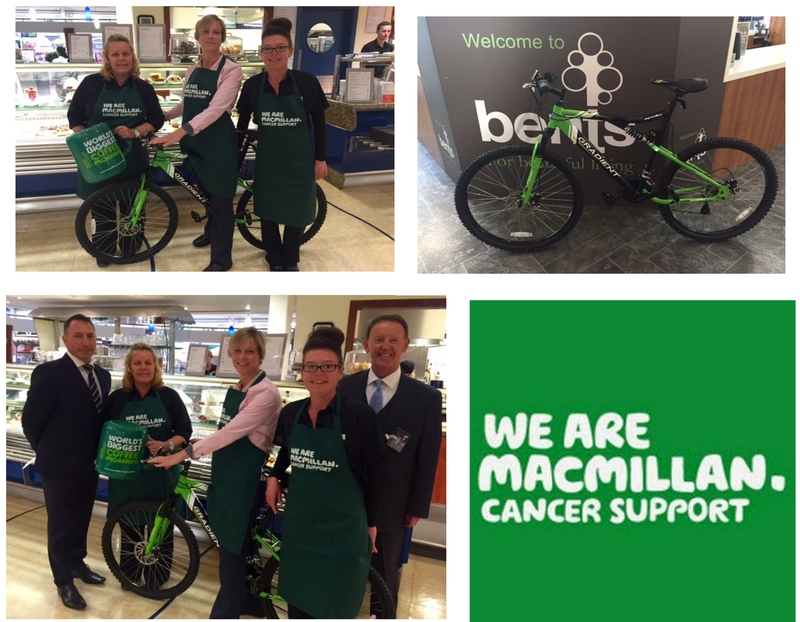 Bent's Garden Centre, Leigh, have throughout the whole of this year run various events to raise Money for the MacMillan Cancer Support. It is in this year that they are hoping to raise a whopping £31000 !!! This month they will be running a 'Fun At Work Week' featuring a number of varied events culminating in a Prize draw located at their Garden Centre. Mortons Dairies kindly donated a Brand New Mountain Bike to the prize draw in order to aid in the raising of funds for MacMillan, as we take great pride in working together with our local businesses and for such a great cause felt it was the least we could do. If you're in the area or fancy a day out head over to Bent's Garden Centre and together we can raise a lot of money for this great Charity. Our Photos show (from left to right) Nicki, Tamsin & Lorraine (Bents Staff) & Also Simon Holt (Business Development Manager) & Steve Ledsham (Sales Director).